Have bed bugs affected your life in a deep and emotional way? 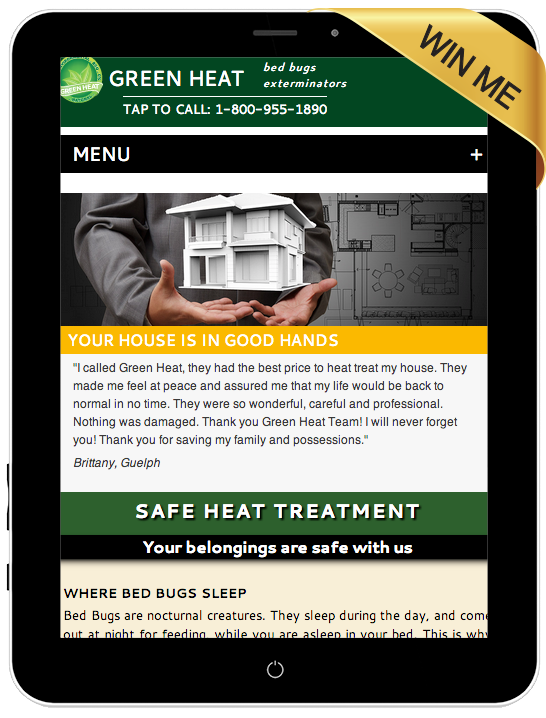 From our experience, most people who suffer from a bed bug infestation have been impacted very personally. We want you to share your story! By sharing your story, you have the unique opportunity to help others with their struggle to cope. We are looking for emotional, high quality video testimonials about your past or current bed bug nightmare. Your testimonial video needs to be less than 90 seconds, clearly explaining your own personal story. If you have video of the actual bed bugs, that's even better. Include your name and email in the description above. It's how we contact you if you win. Does your video emotionally connect with the viewer? What circumstances built up to your eventual realization that you were infested with bed bugs? Go into detail here, without explicitly naming or defaming any individual or company. You can talk about how excellent or difficult your experience was. Are you unable to sleep at night? Do you suspect bed bugs in every place you visit? Briefly discuss each step of your story, with as much detailed information as possible, using descriptive grammar. Don't go on and on about 1 specific detail, you need to be able to tell your whole story in a very short time. Your video must be less than 90 seconds. Use your time to the best of your ability, because if you go over 90 seconds, your video will be disqualified. Green Heat owns the copyright to all video content uploaded for this contest. Do not include your name, address, or any other direct identifying information about yourself or anyone mentioned in your video. If you want to use a name to identify, say the "woman", the "man", my "relative" or that "company". Absolutely no profanity in your video please. We know this is an emotion and possibly controversial issue you will be discussing. Use creative, non-abusive language when creating your video. If you violate this rule, your video will be disqualified. This is your personal story, but do not include the names of companies or individual people or groups. This contest is open to all North American residence who have been affected by an extreme bed bug infestation. Please upload your video using the following link. By uploading your video you are giving Green Heat Bed Bugs Exterminators (Toronto) full copy rights to all material. Your videos must include original content. If you are going to use music or pictures in the background, you must have ownership rights to all materials. Contest entries close at midnight June 30, 2014. Judging will take place Thursday July 3rd. The winner will be announced on our website on Friday July 4th, 2014. The winning entrant will be notified by email or phone. The prize is a brand new in box iPad Air, 16GB Wi-Fi + Cellular edition.